As you head out Wednesday morning, it won’t be quite as cool. Morning low temperatures fell only into the 60s overnight as a warmer air mass is overtaking South Florida. A dry, sunny and warmer pattern is building for the remainder of the week with highs in the upper 70s and lower 80s. For Wednesday, expect highs around 79 with partly cloudy skies. 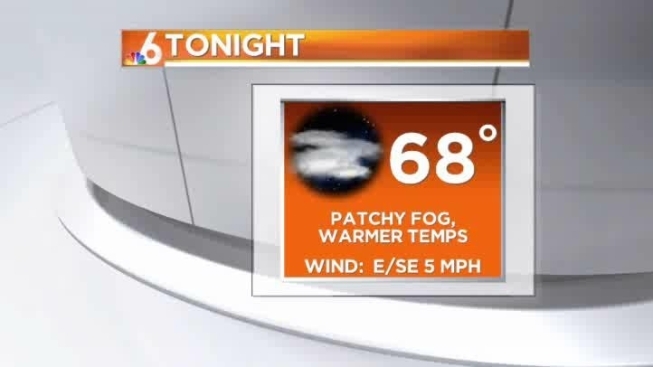 Tonight, lows drop to 68 with light winds and only a few clouds. There may be some patchy fog developing in the western areas. More sunshine will be around for Thursday with highs approaching 81. We’ll follow that with highs in the lower to middle 80s for Friday afternoon.